In today�s semiconductor market dynamics, technology companies face a challenge to bring innovative products at a nimble pace with reduced costs. Sanved DA with its core competency in semiconductor design offers the customers to co-innovate and build the right products correctly the first time. 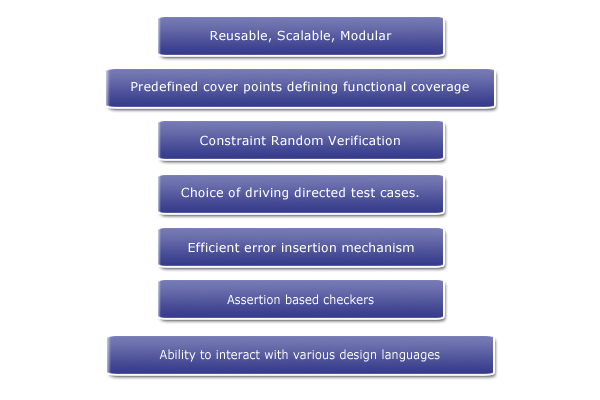 Sanved DA�s Verification IP portfolio consists of most of standard IPs commonly used in SoC environment. One of the key goals of the modeling has been to separate design from architecture. As the concepts and technologies used to realize designs and the concepts and technologies used to realize architectures have changed at their own pace, decoupling them allows system developers to choose from the best and most fitting in both domains. 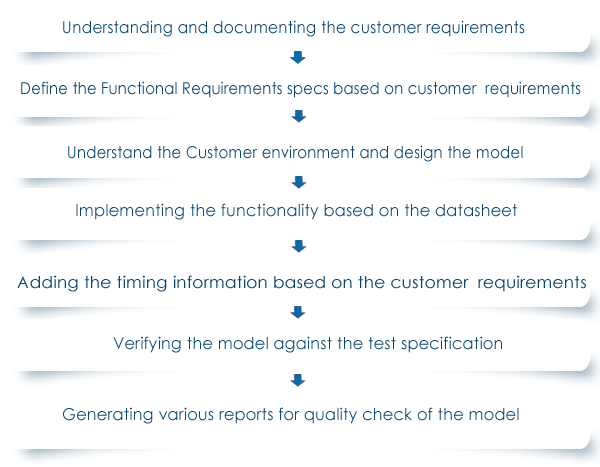 The design addresses the functional requirements while architecture provides the infrastructure through which non-functional requirements like scalability, reliability and performance are realized. 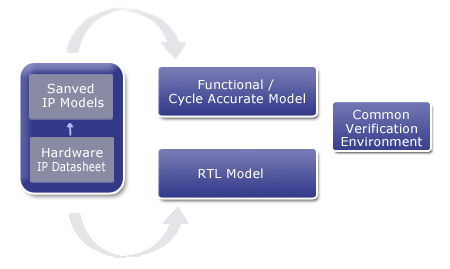 C based modeling has always been an instrument for the Architects to convert the algorithms to the hardware and define the required functionality & timing for architecture exploration & functional verification. 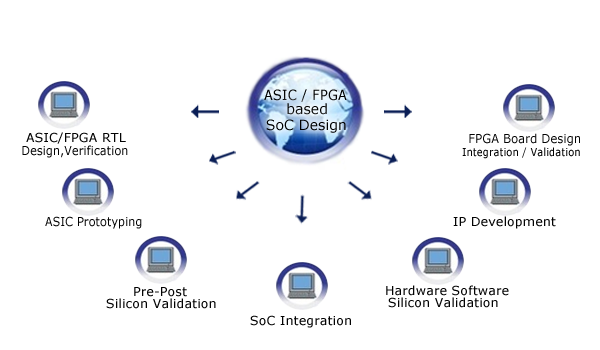 Sanved�s portfolio consists of configurable models for most of the building blocks of a SoC like Bus (AMBA, AXI, AHB etc.,), Memory, Processor, USB, PCIe etc., These models can be customized as per design requirements into functionally detailed and cycle accurate models.